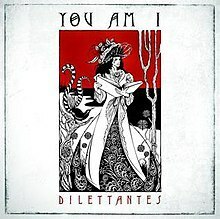 Dilettantes is the eighth studio album by the Australian rock band You Am I, released on 13 September 2008. It was recorded at Electric Avenue Studios in Sydney and Sing Sing South in Melbourne before being mixed at Studio 301 in Sydney. Singles Erasmus, Beau Geste and Givin' Up And Gettin Fat.